How can successful leaders and innovators invest in the next generation by empowering entrepreneurs? On this episode, you’ll hear from serial entrepreneur Benjamin Arneberg. In his conversation with Roy, Ben opens up about his past crowdfunding success, how he’s utilized Amazon to grow his brand, tips he has for startup entrepreneurs, why he started Product Fuel, and so much more! If you want a peek inside the mind of a prolific business leader, you’ve come to the right place. Don’t miss a minute of this fascinating episode featuring Ben! How Amazon can help startups. The big question in many startup circles is, “What is next after crowdfunding?” Time and time again, the answer seems to be, Amazon. Is Amazon really a good platform to take your fledgling product? What makes Amazon a good option for startups? Innovator, Ben Arneberg is convinced that Amazon has the tools and audience that entrepreneurs like you are looking for. Ben has taken multiple crowdfunding projects to Amazon with impressive results! Learn more about Ben’s experience with Amazon and why it’s worth your time to investigate by listening to this engaging episode! What pre-campaign steps allow a crowdfunded product to get fully funded in the first four hours? Is there a magic formula that can guarantee this type of success? When Ben and his team launched Cold Brew On Tap, they experienced rapid success. Ben says that much of this success can be traced back to the successful campaign they ran previously. He also points to the work he and his team put in with building their audience through email lists and utilizing Facebook Messenger. Find out how you can benefit from using similar tactics as Ben expands on what led to his success and more on this informative episode! Utilizing Facebook Messenger to connect with your audience. If you’ve been around the crowdfunding community for very long, you know that one of the hot new topics is utilizing Facebook Messenger. Is it really as good as the rumors suggest? Can you expect a high ratio of open rates? While it may not be an option for everyone, Ben Arneberg and his team have found great success in investing in the use of Facebook Messenger. Instead of spending the time to figure it out themselves, Ben decided to connect with an outside team specializing in Facebook Messenger. The results that they saw were well worth the investment! From high open rates to audience engagement, Ben has become a firm believer in the new wave of utilizing Facebook Messenger to connect with your audience. Are you looking for new ways to get your product out to the marketplace? Do you want to work outside of the usual parameters and try different platforms to get your product where it needs to be? 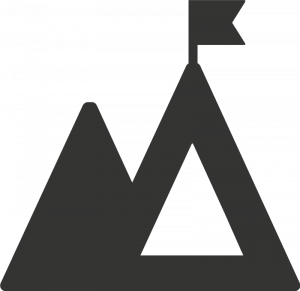 Then you should check out what Ben Arneberg and his team are doing at Product Fuel! They are Amazon and crowdfunding experts who have the experience and knowledge to help products and brands get the exposure they need to build momentum and turn a profit. The folks at Product Fuel will be the first to tell you that they won’t guarantee success, but they can offer up their valuable insights and strategies that they have used to get impressive results. To hear more about Product Fuel and their awesome work of empowering entrepreneurs, make sure to listen to this episode! [1:10] Benjamin Arneberg joins the podcast to talk about his career in crowdfunding. [2:15] Ben talks about how he got started as an entrepreneur. [4:40] Why Amazon is a great platform for new products. [6:30] Ben opens up about his new product, Cold Brew On Tap. [8:00] What pre-campaign work has led to success? [9:30] Is it practical to utilize Facebook Messenger to connect with your audience? [11:20] Make sure you validate your product idea. [13:00] Tips for putting your product in the best position for success and lessons learned. [15:20] What is Ben working on right now? [17:00] Ben enters the Launch Round – rapid fire questions. [19:50] Why you should check out Ben’s projects. Roy Morejon: Welcome to Art of the Kickstart, your source for crowdfunding campaign success. I’m your host, Roy Morejon, president of Enventys Partners, the top full service turnkey product development and crowdfunding marketing agency in the world. We have helped startups raise over $100 million for our clients since 2010. Each week I’ll interview a crowdfunding success story, an inspirational entrepreneur, or a business expert in order to help you take your startup to the next level with crowdfunding. Roy Morejon: Art of the Kickstart is honored to be sponsored by BackerKit and The Gadget Flow. BackerKit makes software that crowdfunding project creators use to survey backers, organize data, and manage orders for fulfillment by automating your operations and helping you print and ship faster. 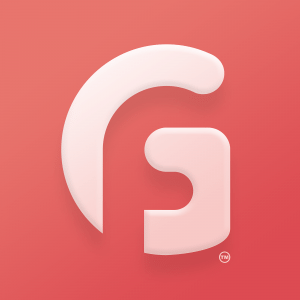 The Gadget Flow is a product discovery platform that helps you discover, save, and buy awesome products. It is the ultimate buyer’s guide for luxury gadgets and creative gifts. Now, let’s get on with the show. Roy Morejon: Welcome to another edition of Art of the Kickstart. Today I’m really excited. I have Ben Arneberg with me. Ben, thank you so much for joining us today. Ben Arneberg: Hey, thanks so much for having me, Roy. It’s a privilege to be on the show. Roy Morejon: Ben, you have run multiple crowdfunding campaigns on Kickstarter. You and your wife who are about to expect a baby, so congratulations on that. Roy Morejon: Back in 2015, Willow & Everett, you guys scaled that to do like a million dollars in sales in your first year just on Amazon and then you created TerraMat, which I think was your first product that you guys put on to Kickstarter. Did over 100k on that, were consistently doing over 100k per month on Amazon and then you guys actually just recently sold it, so congrats on that. I know we have a ton to talk about where you guys have mastered not only Kickstart but the ins and outs of selling on Amazon, and then you started a company out of that, Product Fuel, you know, just basically born out of the passion of launching innovative brands and making sure they’re successful on Amazon and Kickstarter. So let’s talk about, where does all this start Ben? How did you get started in all this? Ben Arneberg: Yeah. Yeah and thanks for that very nice introduction. I’ve always been passionate about entrepreneurship. You know, my whole life kind of like knew I wanted to be an entrepreneur, but I ended up going into the air force via the Air Force Academy. When I was in grad school I just kind of had this itch like I wanted to get out there and just try a business, even though I’m in the air force at the time. Ben Arneberg: So did a mobile app, found some people in Boston where we were and it started out as a great experience where Harvard President Challenge finalists had some space in their innovation lab and were, you know, looking at getting some VC funding and like, “Hey, this is awesome,” but it kind of quickly went downhill and I had to separate for them to go to my next air force assignment. They took it to an accelerator and it kind of crashed and burned, and that experience left me a little disillusioned with entrepreneurship. Ben Arneberg: You know, kind of at the time I just had such a limited view, but it was like, “Hey, either you make it and you’re Mark Zuckerberg or you just go bankrupt.” I didn’t like these kind of high risk, you know, only 1% of people make it business models, AKA high growth tech startups. So I was kind of done with it, right, and as I’m starting my air force job in the Washington DC area, still that itch is kind of gnawing at me. It’s like you know what? I want to see what else is out there. So I just started learning about different business models, heard a lot of people talking about e-commerce and, you know, went to my wife and said “Hey, let’s give this a shot. Let’s start an e-commerce brand out of things we’re passionate about.” We like cooking, hosting, you know, coffee, tea. Ben Arneberg: So we decided to start Willow & Everett in 2015, just as an experiment. You know, we both had jobs, just something we did a little bit here and there at night and on weekends and it took off. You know, like you said, it did over a million in sales its first year and we kind of saw that success and said, “Hey, there’s something here.” So we actually kind of replicated the business model, almost franchised it and with business partners started CubeFit, which the TerraMat was that crowdfunding product we launched that under and that also did really well. So, but yeah, that was kind of how it all started. Roy Morejon: This is really interesting. So let’s talk about TerraMat a little bit. You guys ran that campaign back in 2016 through a little bit of 2017, successfully brought that product to market and then transitioned it over to Amazon. So I know a lot of the people on our podcast that listen to us weekly, you know, are always interested in what’s next. What’s after Kickstarter and Amazon always seems to be that next step outside of, you know, launching an e-commerce platform. What were some of those steps that you took to transition the product to Amazon successfully and then continue to sell the product there? Ben Arneberg: Yeah. Absolutely. So this is just a massive opportunity that we kind of stumbled into. So with Willow & Everett, we knew Amazon very well, knew how to sell exceptionally well on that platform, but with CubeFit and the TerraMat, you know, my business partner is like, “Hey, let’s do a Kickstart.” “I was like, “Kickstarter, I don’t know. It seems like a lot of work. You know, is it really worth it?” You know, so we do it and it goes really well for our first one. It raised six figures but what was amazing was we took all of our Amazon best practices, and were able to take the TerraMat from the Kickstarter to doing over a million a year on Amazon. There’s so much potential to take a crowdfunded product to Amazon that most people in the crowdfunding world don’t realize, and most people in the Amazon world don’t realize. So it’s kind of when you can bridge that gap, massive opportunity. Ben Arneberg: So there are a few reasons for that but, you know, when you do crowdfunding, you create a big halo effect. You get a lot of people interested and engaged in your product, a lot of customers that are now going to be loyal wherever you go. So it’s going to be easier to jumpstart your Amazon listing. You know, getting reviews, getting social proof. There’s a lot of different levers you can pull. So yeah, I guess that’s one thing I’d say your audience is, you know, if they have an awesome crowdfunded product, I think selling it on Amazon should be top of mind consideration. Ben Arneberg: Obviously your website is very important as well, but Amazon brings you so much traffic. It does depend on the product but in general there’s so much traffic out there for products that if you can get that exposure and then have all the right levers in place, you can get a lot of sales from it. Roy Morejon: So my firm, Enventys Partners, had the opportunity to work with you recently on your most recent crowdfunding campaign, the Cold Brew Tap 2.0. 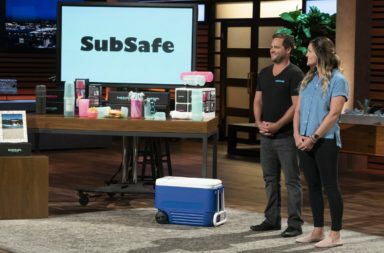 Let’s talk about, you know, where that product came to life and how you decided to go from a standing desk mat to a cold brew coffee maker. Where’s the synergies there? How did you come up with that? Ben Arneberg: Yeah, yeah. So we, with a few different brands now, try to keep them siloed, but, you know, so all-inclusive brands. So, you know, CubeFit was a healthy office products company and, you know, with the TerraMat and other products to help people live healthy in the office. Willow & Everett is really focused around coffee, tea hosting, happy home. So we, yeah, invented Cold Brew on Tap 1 last year and then recently, you know, with you guys had the Cold Brew on Tap 2 Kickstarter. What’s really fun and I’m sure a lot of your listeners can relate, it’s just awesome to have brands and companies out of the things you’re passionate about because you’re always thinking about new ways to improve your products to make new ones. Ben Arneberg: So it just kind of flows out of you. So, you know, with the Cold Brew on Tap, love coffee, started tweaking around with different ways to make cold brew and that’s how this one was born, but it’s contained within the umbrella of Willow & Everett. We’ve actually now, since then, launched a few other brands to try to, you know, I think the [inaudible 00:07:27] is you want to launch a lot of cool products, but you also want to have a great brand and good experience for your customers and have kind of targeted customers. So yeah, we’re kind of building out those styles of brands right now but Cold Brew on Tap was really out of the passion that my wife and I have for colder coffee. Roy Morejon: Awesome. So we always talk a lot about how important the month or two or three or six leading up to a crowdfunding campaign launch is, and given that you’ve done multiple campaigns successfully, what did you do prior to this campaign versus your first campaign that put yourself in such a great position to fund the campaign within the first four hours? Ben Arneberg: Yeah. So I think one really powerful thing people can do is if you’ve had one campaign, just launch another better version of it because everyone who backed your previous one is very likely to back your new one, and you can create lookalike audiences, et cetera from it. So that really helped us, you know, the second one, the Cold Brew on Tap 2, already had a head start because we had, you know, a thousand plus backers from the one that we could reach out to who were very excited about this new improved version. 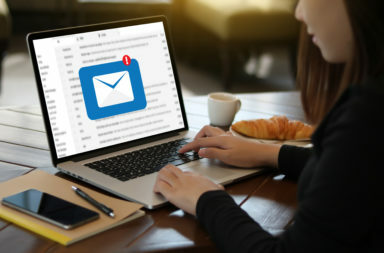 Ben Arneberg: But the other big thing is we spent a lot of money upfront on email, so we collected a pretty massive email list and also messenger subscribers, which is kind of the future I think of communication. Open rates are insane. You know, 90% and you by giving, I think it was almost 15,000, 20,000 people excited about this product ahead of time, it helped us on launch day just, you know, blow it up. Then what’s cool is you kind of trigger, you know, Kickstarter’s trending products and now you get a lot more visibility from Kickstarter organic. So it feels like a little bit of a risk to the creator, but it definitely pays for itself, and you have to front the money to get a bunch of people interested ahead of time, but it can really help your campaign go a lot further. Roy Morejon: So I think a lot of people want to test Facebook Messenger but aren’t necessarily equipped yet with the aptitude to run a prelaunch campaign by just getting messenger subscribers. So if you would, kind of lay out what that looked like for a funnel, if you will, for you to get messenger subscribers and then how you actually got those folks to engage once the campaign went live. Ben Arneberg: Yeah, absolutely and the first question people ask themselves is, you know, where is my time best spent and do I want to spend money to save time or implement? So as we’ve gotten more mature in our businesses, we made a decision, okay we have enough things going on, it’s worth it to spend money. So we actually ended up working with a guy who’s amazing at getting a lot of these flows and stuff set up and the subscribers in place. So that’s one kind of easy solution. If you can find a trusted partner that can do that and, you know, you guys are awesome at that, Roy. That’s definitely a quick solution. Ben Arneberg: You know, show a picture of the product, get them to sign up on email, but then on the landing page, have an additional incentive to get them to subscribe to you on messenger. I think it’s important to do both because you might as well have them on multiple communication mediums, but try to get as many people to messenger as possible because that’s just exceptional open rates, you know, ease of deliverability, et cetera. Ben Arneberg: Then you want to warm the leads, right? So you’re not just building up a massive list and letting it sit cold for two months. You want to be giving them value, engaging them, maybe even getting their feedback ahead of time so they feel like they have ownership in the product. Like, “Hey, how can we improve it? What do you think about this feature?” That way when you go to launch day, they’re so primed and ready and you’re going to just have explosive results because you’re really spending a lot of money to get them. So you want to make sure you’re getting a good return on your investment. Roy Morejon: Absolutely. So Ben, given you’re a crowdfunding vet and an Amazon vet and an actual vet, what tips would you have for someone looking to crowdfund let’s say their kitchen or food or beverage product like Cold Brew? Ben Arneberg: Yeah. I think a really important first step is make sure it has legs. Make sure that there’s a lot of potential out there. I think it’s important to, you know, lean startup, fail forward fast. Just try to, before you go through all the effort of even doing it, just validate if it’s gonna have a shot. So what I like to do is look and see, have there been similar crowdfunding products that have done well. You know, even semi similar but it really helps de-risk it if you can see, aha someone else has done a decent job with a kind of similar product. Ben Arneberg: That should give you more confidence and then the other thing is run some Facebook ads to that email lists and kind of gauge your per email cost. So again it can be a really simple landing page just showing this product’s coming soon. Sign up to get early bird specials but if you’re getting emails at like $10 a lead, that probably tells you your product is going to have a challenge doing well on the market because, you know, to do well on a crowdfunding, a lot of it is getting the paid traffic figured out. Ben Arneberg: So if however you are getting emails for like $1, $2, it’s saying, “Hey this actually is going to have a good shot at doing well.” So that’s kind of what the step we do before we’ll launch any product in crowdfunding is kinda gauge that per email cost and if it’s too high we’ll just scrap it. We won’t even go through the effort of crowdfunding and kind of pivot and, you know, maybe look at some other products. Roy Morejon: So with all the marketing efforts that you’ve put forth on this recent project and projects in the past, where did you see the biggest return on your investment? Ben Arneberg: Yeah, yeah, that’s a great question and I’m a big fan of the 80 20 rule. So 20% of efforts yield 80% of results and I think that’s important with crowdfunding, especially because you can spend 24 hours a day for two months, you know, just hitting your head against a wall, trying to get it to go when really there’s probably only a few hours a day you had to spend on those things that actually mattered. So we by far find that just getting the paid advertising really works out well. You know, like working with you guys for that, that’s just pretty phenomenal to get the word out and then PR, you know, can be worth it, but like it kind of depends on the product. So that’s kind of iffy, like more of like a chance, but I’d say the safest thing is the paid traffic while it’s going and then building up the list before it launches is equally as important. Ben Arneberg: Then of course, making sure you have really good assets in place. So yeah, spend some time, money if needed, to get awesome images. Making sure you’re having GIFs. Like make sure it’s a highly converting listing, make sure your video is decent. You don’t have to drop 10 grand on a video, but make sure it’s just a good video, it’s really speaking to the benefits and giving a little bit of the story. You know, just look at other top performing campaigns and try to replicate as much of that as you can but I would say those are the big things. It’s the paid traffic and, you know, list buildup beforehand. Roy Morejon: Solid advice there Ben. So what’s the biggest thing you’ve learned through the whole process of launching multiple Kickstarter campaigns? Ben Arneberg: I think there’s a big difference between a successful Kickstarter campaign and a successful business. Something that we’ve experienced ourselves and see a lot in the industry is, you know, you can have a big splash, but to actually turn that into a profitable business where you can be around for multiple years and hire employees and build something really cool, that is a challenge when you want to make sure to not get too fixated on the big launch that you kind of miss out on everything after the fact of building a real business. So that’s kind of I’d say one of the biggest things that we’ve learned is how do you actually go from a crowdfunding campaign that does well, but make it a real business. Ben Arneberg: You know what I mean, because like everyone wants to have that big splash, but I think more than that, they want to be entrepreneurs. They want to have a real sustainable business and that’s kind of where the power of doing well on your website, selling on Amazon comes in, is you can build a real business that way. Yeah. So that was I’d say maybe kind of the biggest, is looking at crowdfunding as a tool in your toolbox at building real business. Not as the end goal, because if that’s your end goal, you’re not going to have a real business at the end of it. Roy Morejon: Absolutely. Solid advice there. So where are you guys headed next? Ben Arneberg: Yeah. So we have a few different things going on. Something I’m really excited about is kind of out of experiencing this transition from crowdfunding to Amazon and noticing that this is an amazing opportunity, but I don’t see anyone else really helping others do it. You know, we’ve now been selling on Amazon for over three years, have a lot experience, sold over $15 million dollars there. So we know it really well, but most people when it comes to Amazon can list a product, I like to say a three year old can put up a product from Amazon, but it takes, you know, the best in the world and years of experience to let it hit its full potential. Ben Arneberg: We decided, you know what, let’s help other awesome creators and people that are just making cool products, we want to help them sell on Amazon. So we started Product Fuel a year ago kind of as a test with the premise, can we help other brands have the same success transitioning from crowdfunding to Amazon as we did. Started with a few test clients, it’s gone really well. So we’re actually scaling that right now and I love that business because it gets us working with creators. Ben Arneberg: We even started investing in some as well and it’s just fun to actually help people because most of the services out there that talks about Amazon, they’re terrible. Or the brand creators, you know, the people making the products, they have a million things on their to do list. They don’t have time to become an expert on Amazon. So we come in and literally our proposition is we’ll pay for ourselves. We take a percentage of how you do so that you’re going to make more, even with us on board, than you would on your own. So that’s something right now with Product Fuel that I’m really excited about. Ben Arneberg: Then with Willow & Everett, you know, we’re launching a new kind of coffee, tea related products, but we actually have a few more direct to consumer brands that we are working on and launching right now. Roy Morejon: A lot of exciting stuff Ben. This is awesome. All right. Well this is going to get us into our launch round. I’m going to rapid fire a handful of questions at you. You good to go? Roy Morejon: So what inspired you to become an entrepreneur? Ben Arneberg: Rapid fire, rapid fire. That’s a deep question. I guess just the ability to take an idea and create it, and just to bring things in the world that are valuable to others and kind of scale them. So, you know, and just I find business fascinating and, yeah, to take ideas and cool products to life. My whole life I wanted to be an engineer, an accountant, a lawyer and, you know, I found out I was an entrepreneur. You kind of get to do a little bit of everything. Product design, you know, finance, blah blah blah. So yeah, it’s just the most fun field that I believe exists. Roy Morejon: So if you could grab a beer with any entrepreneur throughout history, who would it be? Ben Arneberg: Ooh, well Roy, I’d say it might have to be you actually, but if I have to … Oh, we’ve already a beer, so let me think. Another really good question. I wish you had given these ahead of time. Roy Morejon: I mean, you already met Bezos so I mean, who else is on the list? Ben Arneberg: That’s true. Yeah. So it’s funny you say that, because I think I’d actually want to grab a beer with him. I talked to him briefly, but I would love to have like an hour or two to pick his brain. I think Steve Jobs is another one that would be pretty awesome as well. Roy Morejon: So you got Bezos at a bar again, what would be your first question for him? Ben Arneberg: Yeah, I would say, “How did you build your team? How did you get,” because and this is something I’m finding out. To truly scale a company, you have to just get a players, have a solid culture, but you need amazing people. You know, Bezos’ one guy, his organization is doing insane things all over the place. 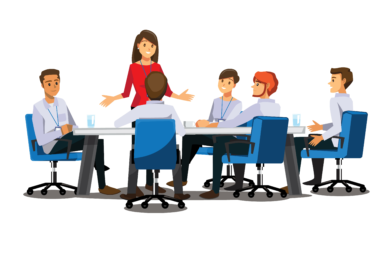 So how in the early stages did you get the right people, keep them motivated and continue to let that permeate your culture as you continue to build out your company and teams? Ben Arneberg: I would recommend the 80/20 Sales and Marketing by Perry Marshall. Amazing book. I call it a survival guide to entrepreneurship. Roy Morejon: Definitely a good read. All right Ben, last question. What does the future of crowdfunding look like? Ben Arneberg: I think it’s going to continue requiring more nimble digital marketing to get the message out there as, you know, more and more people do it, but also I think faster iterations. I think 3D printing’s going to be changing things, but I think it’s going to require these product creators to continue, obviously making awesome products, but then being able to do digital marketing well or finding awesome companies that can help them do that to make it work, because it’s a more competitive landscape, and the paid traffic is a massive part of that now, but there’s also just a bigger opportunity with that as well. Roy Morejon: Absolutely. Well Ben, this has been awesome. This is your opportunity to give our audience your pitch, tell them what you’re all about, where people should go and why they should check you out. Ben Arneberg: Yeah. Yeah. So I appreciate that. You know, I guess right off the bat, love to have you guys check out the Cold Brew on Tap and the Cold Brew on Tap 2. You can go to willowandeverett.com and check it out there or Amazon and it’s just an awesome way to make cold brew coffee, if you’re a cold brew lover. Then the other thing is, you know, like I mentioned Product Fuel, if you just go to productfuel.io, we’re actually updating the website right now but you can go there and you can hit me up at ben@productfuel.io and, you know, if you have an awesome product brand or just want more information. Ben Arneberg: I actually, I wrote a nice blog post too that kind of talked about that transition from Kickstarter to Amazon, but we’re always looking for awesome people to help. We do only work with 10 to 20% of people just because we want to make sure our quality is high, but it’s just a fun kind of passion project that has kind of blossomed into a full scale business for us with Product Fuel and it’s a lot of fun. Roy Morejon: Really awesome stuff. Audience, thanks again for tuning in. Make sure to visit artofthekickstart.com for the notes, the transcript, links to everything Ben and I talked about today and of course, thank you to our crowdfunding podcast sponsors, The Gadget Flow and BackerKit. If you love this episode as much as I do, please, please, please leave us a review on iTunes. Ben, thank you so much for joining us today on Art of the Kickstart. Ben Arneberg: Thanks Roy, it’s been a pleasure. Roy Morejon: Thanks for tuning in to another episode of Art of the Kickstart, the show about building a business world and life with crowdfunding. If you’ve enjoyed today’s episode, awesome. Make sure to visit artofthekickstart.com and tell us all about it. There you’ll find additional information about past episodes, our Kickstarter guide to crushing it, and of course if you loved this episode a lot, leave us a review at artofthekickstart.com/iTunes. It helps more inventors, entrepreneurs, and startups find this show and helps us get better guests to help you build a better business. If you need more hands on crowdfunding strategy advice, please feel free to request a quote on enventyspartners.com. Thanks again for tuning in and we’ll see you again next week.